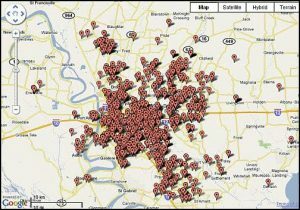 I recently performed a foreclosure appraisal within the Greater Baton Rouge housing market where there was more damage than I normally witness – approximately $45,000 in cost-to-cure. The video of the damage is below the page. Possibly the most costly repairs to bring this home up to a marketable condition are the roof replacement, replacing the missing central heat and air unit (both exterior and in the attic), re-sheetrocking the home, replacing the missing Main Bathroom and then a lot of cosmetic TLC. 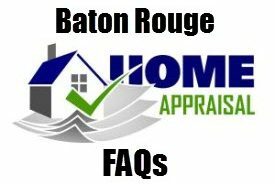 As a home appraiser and not a licensed building contractor, I do try to provide the most realistic cost-to-cure, which may be high or too low. Also, the utilities were not on at the time of inspection, so it’s realistic for the appraiser to assume that mechanical system may need repair and factor that cost in as well. 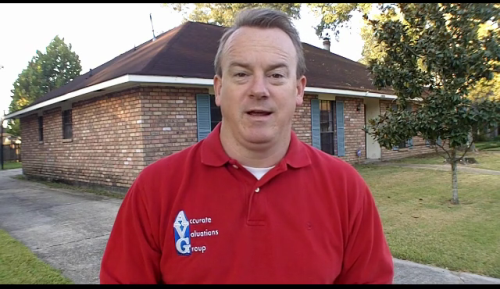 Here’s a video I recently created for a foreclosure appraisal within the Baton Rouge housing market.